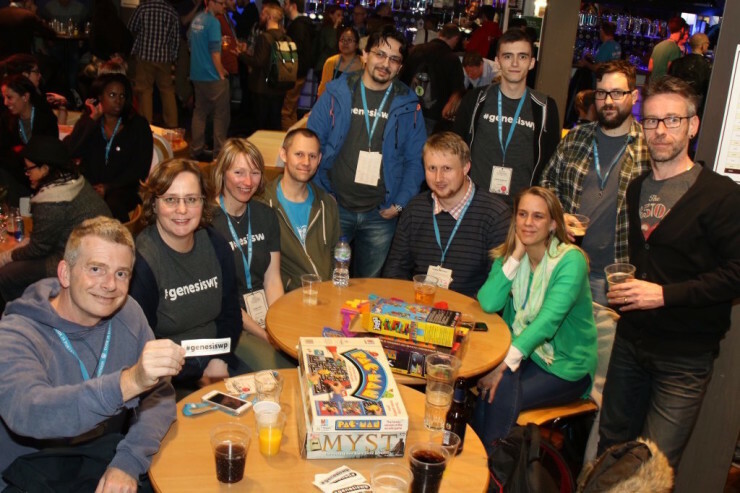 If you follow me on Twitter, you will know I recently attended WordCamp London 2016 and had a blast. Attending WordCamps has become a regular thing for me now. I always learn new and interesting stuff, as well as network with other WordPress professionals. This time was no different and did not disappoint. It was also great to meet up with people I have met at previous WordCamps. One of my personal development goals of 2016 is to get involved in some public speaking. So when the call for speakers was announced for WordCamp London 2016, I figured this would be a good opportunity to see how I manage. I had not done much public speaking previously, so I decided to submit a 10-minute ‘lightning’ talk, focused on various techniques used to automate your business. I was pretty nervous, as I had not done much public speaking previously, and I was also the first one lined up to talk. I feel like it went well, and I have received some great feedback. When the talk appears on http://wordpress.tv/, I will update this post with a link. 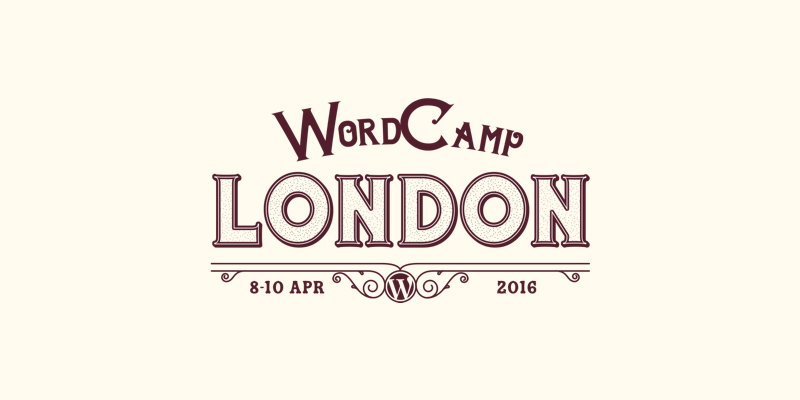 UPDATE – here is the link to my talk at WordCamp London 2016, I’m the first speaker. After my talk, I was asked on Twitter if I could demonstrate how to get emails from a specific Gmail sender into Slack via Zapier, so I am in the process of writing that up into a blog post. UPDATE – here is a link to my post on how to get notified in Slack of an email from a specific Gmail user. 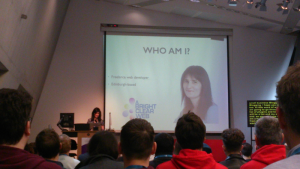 Although I have nothing planned at the moment, I would love to do more WordCamp talks in the future. I think next time I submit a talk, I will submit a longer, half hour talk. 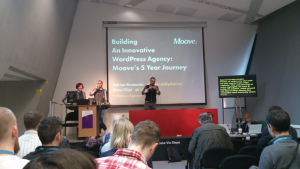 Building An Innovative WordPress Agency: Mooves’ 5 Year Journey by Adrian Restantia and Ilona Filipi – This was an inspiring talk taking us through the journey to becoming a successful WordPress agency. The How and Why of Small Business Blogging by Claire Brotherton – Another inspiring, and also educational talk, where Clair explained some key blogging techniques to use when running a blog. 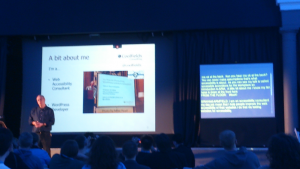 Accessible Accordions for Your WordPress Theme by Graham Armfield – I found Graham’s talk really interesting and loved how he walked us through the process of creating an accessible accordion, step by step. 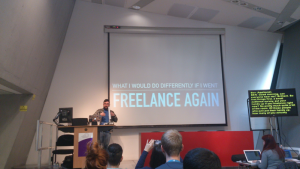 What I’d Do Differently If I Freelanced Again by Ben Furfie – This was a particularly helpful talk. I found Ben’s advice to be really useful and appreciated the honesty in his talk. Panel: Accessibility Q&A with Mik Scarlet, Richard Senior, Gary Jones, Angie Vale and Rian Rietveld – Some really interesting discussions based on accessibility, why it is important and some techniques used to create accessible websites. 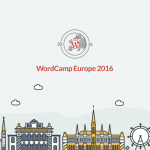 I think every speaker at WordCamp London 2016 did a great job, and I can’t wait to catch the ones I missed on http://wordpress.tv. Attending WordCamps gives me a great opportunity to meet other WordPress and Genesis professionals. Through attending WordCamp London 2016, I have expanded my professional contact network and made some cool new friends. From developers and designers through to content writers and photographers, WordCamp really is a great way to meet other professionals. As with all the previous WordCamps I have attended, there was a Genesis meetup organised around the event. We had the meet-up during the WordCamp after party, so we got the chance to relax a bit. Unfortunately, some of the usual attendees had to skip the meet-up as they were actually volunteering at WordCamp and were busy elsewhere. As well as attending the Genesis meet-up during the WordCamp after party, I also got the chance to relax and make some new friends. Like last year, the venue was kitted out with a large selection of retro video games to play with, which was great fun. We were also provided with free drink tokens, which provided for a humorous atmosphere. To me, the after party is one of the best bits about WordCamp. People feel more relaxed, and can be themselves a bit more. It’s a great way to network professionally and have fun at the same time. I plan to continue attending as many WordCamps as I can, as it is the perfect networking opportunity around for WordPress. I will be attending WordCamp Europe this year in Vienna, from June 24th through to June 26th, and I’m really looking forward to it. 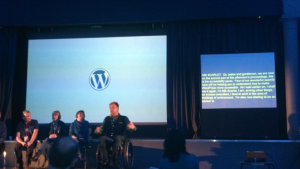 So to sum it up, I had a cracking time at WordCamp London 2016. I met some new people, people I already knew, and learnt a lot while I was there. 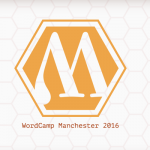 Are you planning on attending any WordCamps? 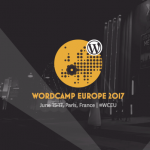 If you are attending WordCamp Europe and want to meet up, let me know in the comments.